Remita Retrieval Reference Number (RRR) is a 12-digit code which is electronically generate. The Remita Retrieval Reference Number (RRR) is used for making financial payments on the Remita platform, which is one of the biggest online banking platform in West Africa countries. Here is how you can easily generate Remita Retrieval Reference Number and make payment for anything you want. Before diving into the guideline on how to generate RRR for payment, have you asked yourself what is Remita Retrieval Reference Number (RRR)? For those who don’t know what RRR is, here’s a short definition and explanation. 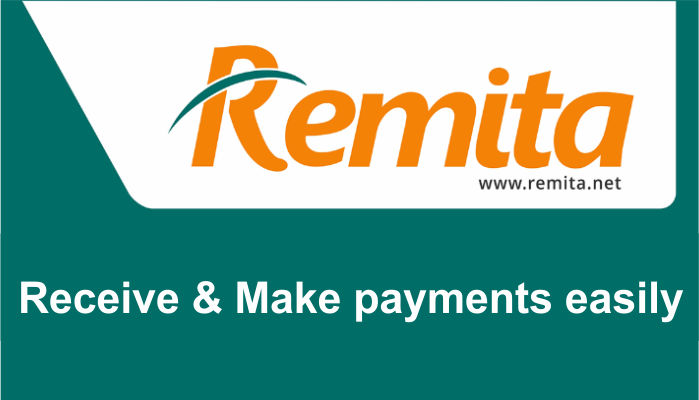 Remita is one of the biggest and popular online payment solution available for Nigerians. Slowly, Remita has made itselt a very important part of how businesses, government bodies, and agencies, etc. send and receive payment in Nigeria. Most academic Institutions in Nigeria today, Universities, Polytechnics, Medical schools, JAMB, NDA are all using Remita, making payment easier for all persons who won’t want to go spend their time in the banking hall. 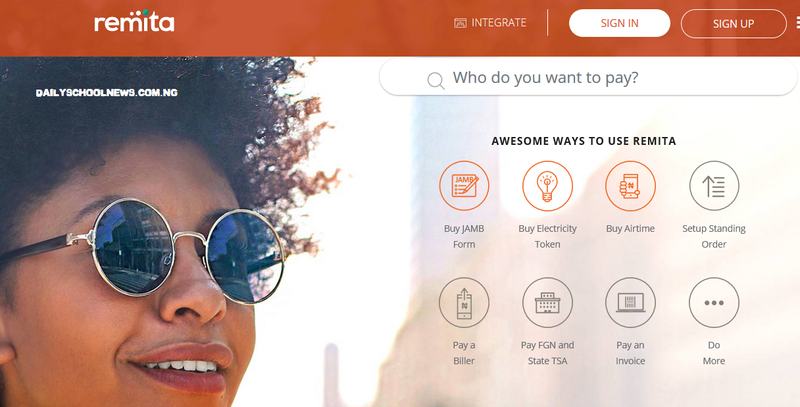 Millions of Nigerians and thousands of organizations in Nigeria are currently using the Remita platform for transaction, and the Remita is always growing, being added by other institutions. Even the Federal Government of Nigeria are also using this platform, using Remita to facilitate their Treasury Single Account (TSA). Remita Nigeria officially uses the following platforms for financial transactions. To generate an RRR, also known as Remita Retrieval Reference Number, you must have an account with Remita. The goodnews is that creating a Remita account is very easy. If you don’t have an account yet, you are required to create one first, before operating on their platform. Visit www.remita.net to open a Remita account, like I earlier said, it’s free. • First, you are expected to visit the Remita website on your computer, laptop or mobile device at www.remita.net. • When the portal loads, proceed and log in to your Remita account. • After you have successfully logged into your account, you will see a search engine located at the top of the page. • Here’s it. Simply enter the name of the billing agent (i.e., the business organization or the government body or agency) to which you want to make payment to, then proceed and press enter or click on search. For instant, if you want to Buy the JAMB Registration form, or NOUN, in the search box, simply type in “JAMB” or “Joint Admission Matriculation Board”, “NOUN” or “National Open University in Nigeria” in the search engine and press enter or click on search. • Finally, just click on the result that is shown, and you will be taken to the page where you can easily generate your RRR number. To make it easier, you can simply Click on one of the options which is displayed on the home page of the website. There are lot of options here, as shown in the picture above, just click on the one that covers your intention, once you’ve done this, you will be directed to the next page where you will need to enter the necessary information regarding your payments. Here is where it’s much more better to carefully follow this guideline, so you won’t be making a payment for the wrong service/fee. • Before you will be asked to enter the necessary information to make your payment, there will be a drop-down menu where you will need to select from the options, the service you are making payments for, especially if the biller has more than one service for which he/she receives payment through the Remita platform. Important Note: It is very important for you to note here, that before making payment, it is recommended and advisable for you to engage the billing agent (i.e., the business organization or the government body or agency) so you will know the appropriate service type that best suits the intended remittance. • However, since you want to generate a Remita Retrieval Reference Number to pay at the bank, simply select Bank Branch. • Finally, click on “Submit” to generate RRR code. • When the next page completely loads up on your devie, you will see your personalized Remita Retrieval Reference Number for the transaction. To avoid unnecessary arguments and discussions, it’s advisable that you take a screenshot or write down the RRR number you generated, which you can use to fill your teller when you get to the bank to make your Remita payment. Are you facing any challenges or need professional help? Then you can call the Remita customer service at +234 1 636 7000 or send an email to support@remita.net. This is the easiest step on how you can easily generate the Remita Retrieval Reference Number.